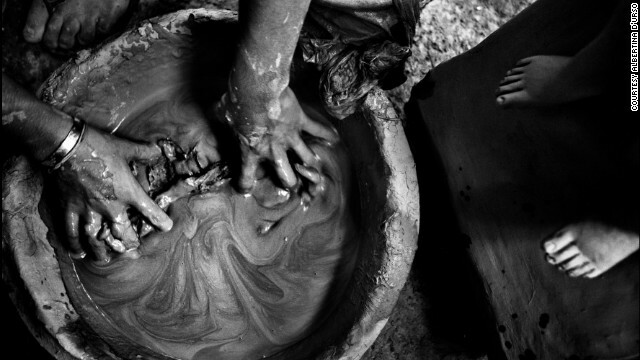 (CNN)–For centuries, artisans have been crafting statues of Hindu deities on the banks of the Hooghly River in Kolkata, India. Italian photographer Albertina d'Urso recently visited the historic Kumartuli district in the West Bengal capital. "I think they enjoy their work because they know the idols they create will be enjoyed by others, but most of all because it is creative and handmade work," she said. "It would not be the same if it was a modern factory." Read the full story from CNN Photos. 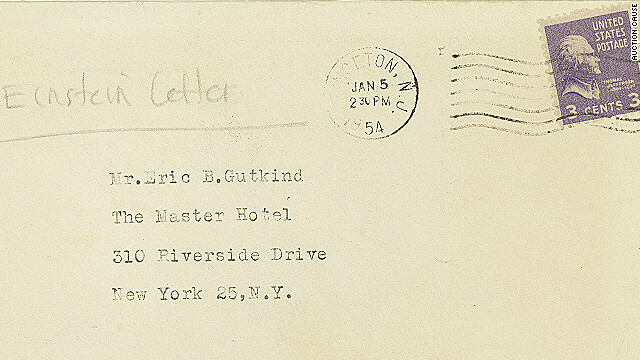 Up for auction: An original 1954 stamped envelope and letter, shedding light on Albert Einstein's religious beliefs. Decades before atheist scientist and author Richard Dawkins called God a "delusion," one world-renowned physicist - Albert Einstein - was weighing in on faith matters with his own strong words. Dubbed Einstein’s “God Letter” by the Los Angeles-based auction agency that's posting it online, the original document will be up for grabs starting Monday. The opening bid: $3 million. 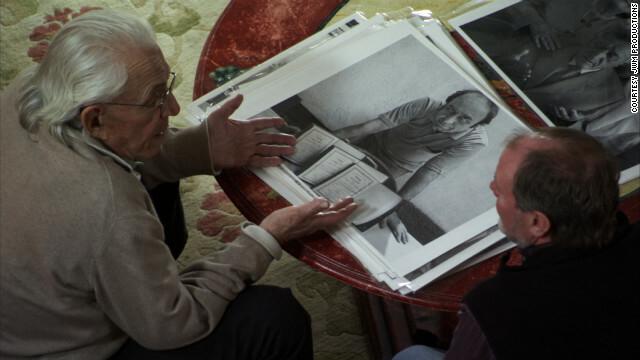 Norman Gershman and Stu Huck discuss a portrait in a documentary about Albanians who rescued Jews during the Holocaust. (CNN) - How many people would lay down their lives for a stranger? It’s the question at the center of the new documentary “Besa: The Promise,” which premiered last weekend at the San Francisco Jewish Film Festival. During one of humanity’s darkest chapters, when millions of Jews, gays, communists and racial minorities were rounded up across Europe, many Albanians put up a fight to save complete strangers. Snoop Dogg is a Rasta now, so what's Rastafari? (CNN) - Rapper Snoop Dogg announced Monday that he's burying his name and old career, all because of a religious experience with Rastafari, an Afrocentric religion with origins in Jamaica. Snoop Dogg wants to be called Snoop Lion and instead of rapping on his latest album now he'll be singing reggae. "From that moment on," Snoop said, "it's like I had started to understand why I was there." Snoop Lion has a new single, "La la la," and a documentary "Reincarnated," which follows his recent trip to Jamaica and chronicles his conversion experience. It debuts at the Toronto Film Festival next month. Ray Bradbury grew old but he never grew up. The late author radiated joy. The voice on the other line was slurred and halting. My childhood hero, I realized, was nearing the end of his life. “Hello, Mr. Bradbury,” I shouted into the phone, so loud that one of my colleagues sitting nearby raised his eyebrows. The call was supposed to be professional. 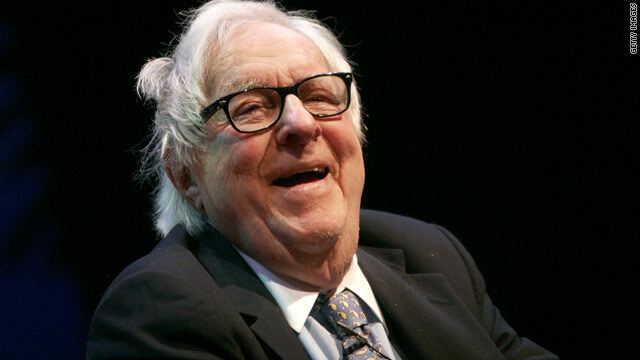 I had called Ray Bradbury’s daughter to tell her that I wanted to write about a different side of her father: What did this science fiction giant think about God and the afterlife? 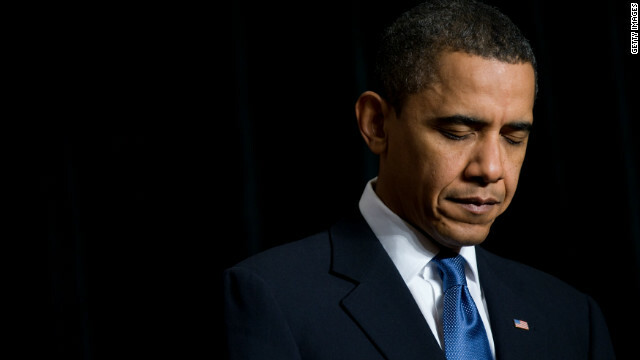 But that request was a smokescreen. I just needed an excuse to talk to the man whose books and stories had enriched my childhood. Would he be as fun to talk to as he is to read, I wondered? He was better than I imagined. In more than 20 years of journalism, I have never encountered anyone quite like him. 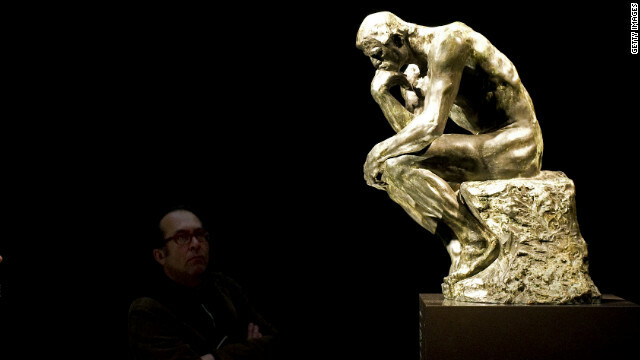 An exhibit of Rodin's "The Thinker." 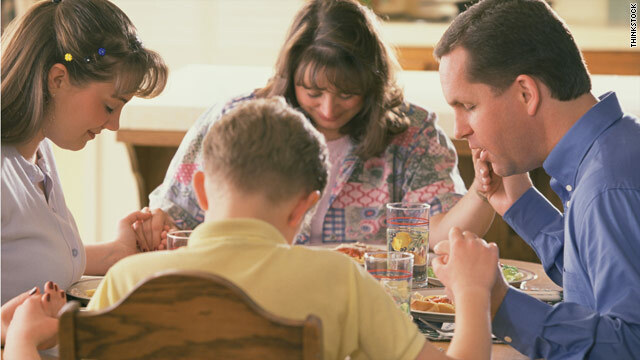 (CNN) - When was the last time you sat down and questioned your decision to believe in God? According to a new study, that simple act could decrease your religious conviction – even if you’re a devout believer. In the study, published Friday in the journal Science, researchers from Canada’s University of British Columbia used subtle stimuli to encourage analytical thinking. Results from the study found that analytical thinking could decrease religious belief. 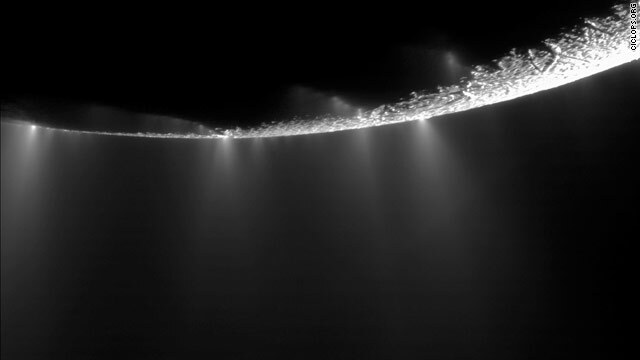 NASA's Cassini space probe snapped this photo of jets spewing from Saturn's moons. Los Angeles (CNN) - A former veteran systems administrator for NASA's Jet Propulsion Laboratory claimed during opening arguments in a civil lawsuit Tuesday that he was wrongfully terminated for expressing his views on intelligent design. David Coppedge, who spent 15 years on the Cassini Mission, one of NASA and JPL's most ambitious planetary space explorations, asserts that he was unlawfully fired under his employer's anti-harassment and ethics policies. JPL contends Coppedge created a hostile workplace while expressing his religious views with co-workers. His suit also claims that supervisors wrongly admonished him for distributing DVD documentary films titled "Unlocking the Mystery of Life" and "The Privileged Planet," which present biological and cosmological explanations for intelligent design, according to the complaint. 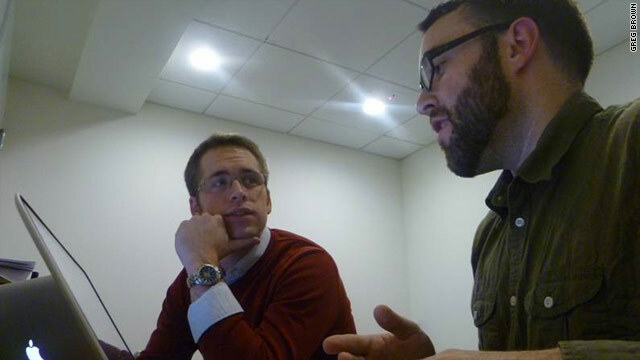 Joseph P. Mathews (on left) and Colin Chapman participate in one of the latest Digital Formation webinars. Washington (CNN) – The General Theological Seminary was founded in 1817, making it the oldest Episcopalian seminary in the country. Twitter, on the other hand, was introduced to the public in 2006, making it, by comparison, a newborn. Colin Chapman and Joseph Mathews, the relatively young founders of Digital Formation, hope to bring those two worlds together. As a social media consulting endeavor, Digital Formation looks to help clergy and lay church leaders work their way through the ever-changing world of social media. When Chapman and Mathews proposed using webinars and classes as the means of teaching, the leadership of the seminary embraced the idea. Though the organization is still in its early stages, the fact that Digital Formation was so quickly embraced shows how religious organizations not only desire more exposure to Twitter, but are willing to throw out what Chapman describes as a “behind the times” attitude to get that exposure. Washington (CNN) – People who are religiously active live more involved and connected lives, according to a Pew Research study released on Friday. The study, titled “The civic and community engagement of religious active Americans,” painted a broad picture of religious Americans and found that involvement in religious organizations usually go hand-in-hand with participation in civic organizations and a positive outlook on their community. “There is something unique about religious and spiritual involved people that contribute to their trust, positive outlook, involvement and engagement in the community,” said Jim Jansen, senior fellow at Pew and the leader of the study.